Experience the “no crowds” difference. 6 persons max. Destin Premium Charters is Destin’s premier private charter service. 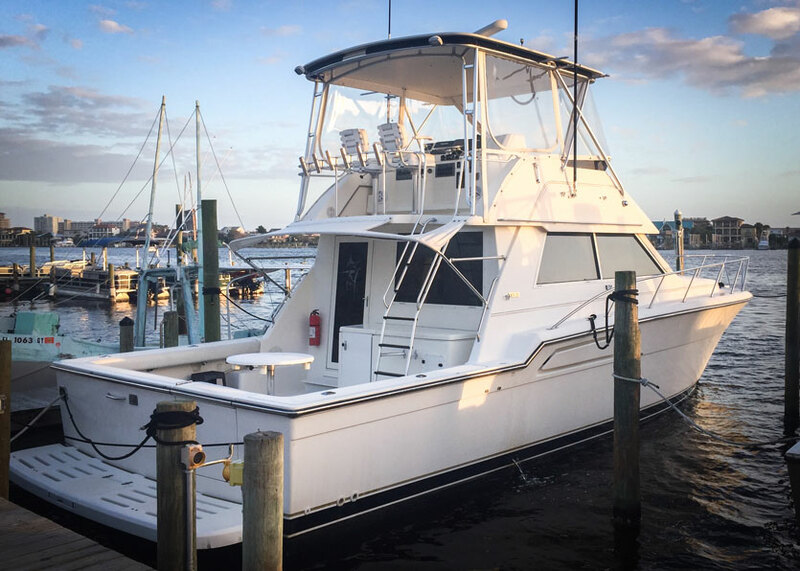 We offer only the finest accommodations and strive to provide a premium experience on the water. This trip is 5 hours long and departs in the morning and afternoon. Please arrive at least 15 minutes before scheduled departure. Often times a small shower is nice in the heat of a Summer day. We do recommended that you bring a light rain jacket. If we are facing bigger storms, we will discuss our options and come to a decision together whether to reschedule or not. If the conditions are not favorable for diving, we will do our best to reschedule. We will depart either in the morning or afternoon for your dive. On the way out we will discuss our dive plan and options for that day. We will dive two different spots. We usually do one natural bottom dive and one wreck dive separated by a surface interval and some relaxing on the boat. When we head back in, sometimes (if we have some leftover air) we will drop down on a shallow sunken Army Tank near the Destin Pass. If you have any questions about diving in Destin, please don’t hesitate to give us a call! The Private all-day Charter ticket is sold out. You can try another ticket or another date. Below are A.M. and P.M. CHECK-IN times at the dock / dive shop. Don't be late!~ Please note: We are on CENTRAL time.